Porsche by Design, a collection of personal perspectives on Porsche, accompanies the first automotive design exhibition at the North Carolina Museum of Art. Editor and guest curator Ken Gross provides detailed descriptions of the twenty-two automobiles in the exhibition. These superlative examples of the signature Porsche design principles - minimalism, aerodynamic fluidity, and technical innovation - illustrate the history of this unique manufacturer, from the 1930s to the present day. 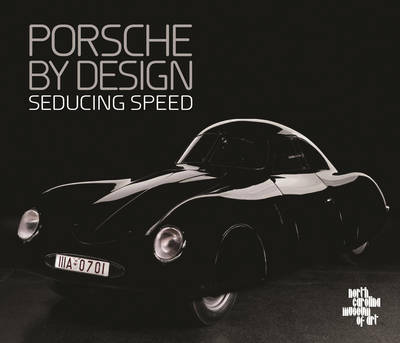 The catalogue is illustrated with exquisite photography by Michael Furman, Peter Harholdt, and Art Howard, as well as remarkable images and posters from the Porsche Museum Archives in Stuttgart.